​Manchester United have been labelled 'frontrunners' alongside Bayern Munich in the reported chase for Atletico Madrid superstar Antoine Griezmann, a player whose future has suddenly become the subject of much speculation again after media claims he is looking for a transfer. Griezmann famously chose to stay with Atletico instead of joining Barcelona last summer, even capturing the moment in a widely criticised documentary called 'La Decision'. But the gossip has resumed this week after stories have emerged suggesting he now regrets that choice. Barcelona were initially ruled out of refreshing their offer - although that position is now somewhat up in the air - but Bayern and 'particularly' United have now been put at the very front of the queue by Spanish publication Sport. 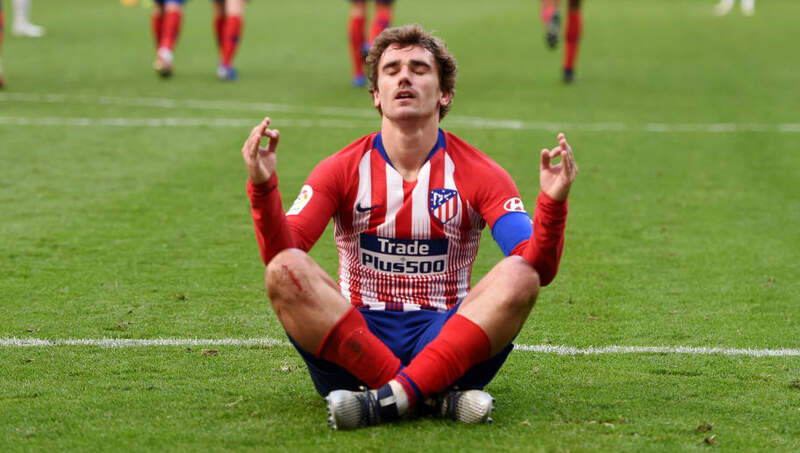 The Catalan daily claims Griezmann's alleged U-turn comes from Atletico's failure to kick on after he pledged his allegiance to them, with the future now looking less bright still if Diego Godin and Lucas Hernandez leave the club this summer as expected. United would be one of the few clubs who could the World Cup winner's wages and could find themselves looking for a new marquee forward should Alexis Sanchez be moved on. Griezmann would have plenty of reason to choose United, having idolised David Beckham as a youngster and counting Old Trafford hero Paul Pogba among his close personal friends. Bayern, meanwhile, are set for a big summer splurge after president Uli Hoeness promised a major overhaul of the squad ahead of next season. "We are in the process of rejuvenating our team. This is the biggest investment program that FC Bayern has ever had," the Munich chief said. However, addressing the growing media excitement that Griezmann will be on the move in the coming months, his sister and representative has dampened speculation. "It's tiring to read every day new things about what my brother thinks about this and that person saying they know what he thinks," Maud Griezmann told L'Equipe. Griezmann's sister/agent: "It's exhausting reading every day that he's thinking about his future"
"Antoine is with the France team this week. He wants to honour the shirt, as with each selection, and it is the only thing he is thinking about for now. I, for one, travel to the other side of the world, and I can assure you that nothing is happening right now."